Neil Pasricha’s “Book of Awesome” has been generating a lot of media coverage, with features in the Toronto Star (April 14), Globe and Mail (April 26) and USA Today (April 22), not to mention China Daily (April 19). Toronto’s Indigo store on Bloor was the setting for the Toronto Queen’s Business Club’s event on April 13 that featured Indigo’s founder and CEO Heather Reisman, KOBO’s CEO Mike Serbinis and EVP Content and Sales, Mike Tamblyn. 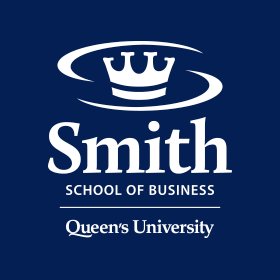 KINGSTON, ON, – Queen’s School of Business has introduced an innovative Master of Management in Finance (MFin) program, designed for aspiring investment bankers, asset managers and financial analysts. Commerce students walked the talk when they surrendered their shoes to help spread awareness about the impact a simple pair of shoes can have on a child’s life. With graduation looming and final assignments due, MBA’2010 student Sandeep Achar looked beyond his immediate future to imagine what the world of work will be like in 2040.